After enjoying the relaxed ambience of our reception area, your therapist will welcome you and show you to the treatment room. The lighting is dim and gentle music is playing as you enter the treatment room and are tucked into a soft, warm bed. Your therapist will talk to you a little about your skin at the beginning of the treatment, but once the facial gets underway she will fall into a restful silence so you can reap the benefits of this deeply relaxing time. Allow your mind to settle and let yourself float away into the facial zone. Its not uncommon for women to drift off to sleep during a facial and we take snoring as a compliment! At the end of your facial, we will bring you a Bestow Organic Herbal Tea and a delicious and nutritious little treat to enjoy. 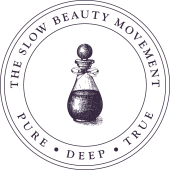 This luxurious Slow Beauty Facial is a dreamy slow dance of massage, botanical therapy and fragrant relaxation that seems to last forever. We begin with a warm compress, followed by gentle cleansing, skin soaking and a gentle enzyme peel. From here your skin is flooded with wellbeing using the Janesce Solutions range. Re-energising Concentrate is drizzled onto the skin and Perfecting Gel applied and infused with herbal-enriched steam to hydrate and oxygenate the skin. Warmed Bestow Nourishing Facial Oil is then slowly brushed over the face and neck with a fan brush, an experience not to be missed! A slow facial and neck massage will relax you completely and prepare your skin for a botanical facial mask, blended especially for your skin needs. While the mask works its magic you will be treated to a complimentary foot or hand massage. And, just when you think it’s all over, the mask is removed with a hot compress and you are treated to a final massage, enhanced with anti-ageing and anti-oxidant products. We apply serum, lotion and sun care and complete your treatment with a scalp massage and fragrant mist. Enjoy a Bestow Organic Herbal Tea and nutritious treat to finish. If you are new to LOX facials, this is the perfect treatment to begin with. Your therapist will begin with a skin consultation and analysis to better understand your skin’s unique needs. She will then tailor a LOX Petite Facial treatment specifically for you. Includes hand or foot massage and a complimentary brow tidy. Enjoy a Bestow Organic Herbal Tea and nutritious treat to finish. This beautiful, botanical facial treatment begins with a thorough cleanse, followed by the Gentle Enzyme Peel to soften and clear away dead skin cells. We then envelop your skin in a warm mist of fragrant herbal steam to hydrate and oxygenate your skin. This is followed with a toning facial, neck and décolletage massage using aromatic oils. An intensive mask is blended with specific herbal tinctures to address your unique skin needs. While the mask works its magic on your skin, we treat you to a relaxing hand or foot massage. We finish with a floral mist and botanical concentrate before applying moisturiser and suncare. A complimentary eyebrow tidy is included. Enjoy a Bestow Organic Herbal Tea and nutritious treat to finish. This is an ultra-hydrating, anti-ageing treatment for clients who are already reaping the benefits of the Janesce Skincare regime at home. To begin we apply therapeutic levels of plant extracts to your skin, then cover your face in a a cotton muslin soaked in botanical essences. This plant therapy is gently compressed into your skin under a fragrant herbal steam. This is followed by a face, neck and décolletage massage using Lavender Facial Aromatic Oil which is healing, soothing and balancing to the skin. Includes complimentary brow tidy and foot massage. Enjoy a Bestow Organic Herbal Tea and nourishing treat to finish. This is an ultra-hydrating, anti-ageing treatment for clients who are already reaping the benefits of the Janesce Skincare regime at home. To begin we apply therapeutic levels of plant extracts to your skin, then cover your face in a a cotton muslin soaked in botanical essences. This plant therapy is gently compressed into your skin under a fragrant herbal steam. This is followed by a face, neck and décolletage massage using Rose Facial Aromatic Oil which is softening, healing and rejuvenating for skin. Includes complimentary brow tidy and foot massage. Enjoy a Bestow Organic Herbal Tea and nourishing treat to finish. A facial focusing on the essentials for those who need a hydrating, botanical skin boost in under an hour. Includes a beautiful Janesce cleanse, gentle enzyme peel, herbal steam and facial mask which is designed to rejuvenate and rebalance your skin. There is no facial massage in this treatment. Includes a complimentary eyebrow tidy. Enjoy a Bestow Organic Herbal Tea and nourishing treat to finish.